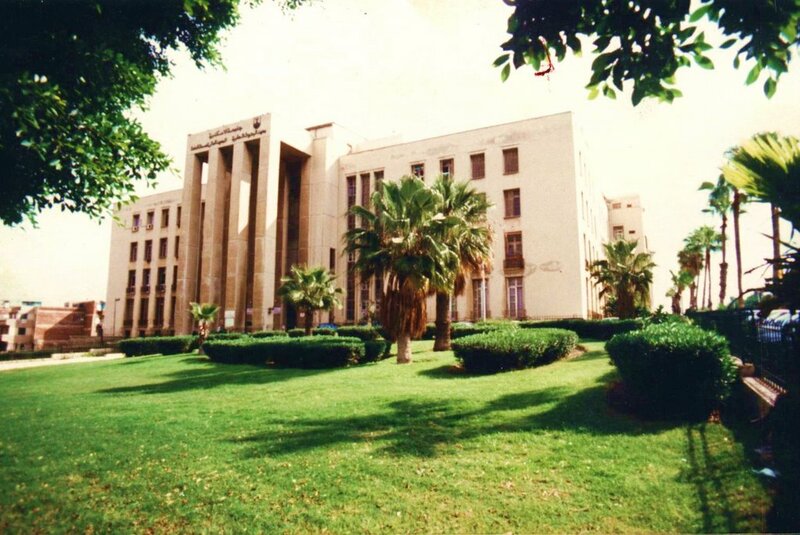 (Alexandria university), Announces the launch of general external tender for purchasing a two renewable Energy systems each of 50 Kw to generate electricity. The first one is PV off-grid system and will be installed El-Behera Governorate. The second system is Hybrid 50 kw PV/ Biogas system will be installed in Alexandria Governorate. The PV is 20 kw unit will be connected to the national grid while the biogas unit will be integrated with solar thermal water heating system and used for 30kw Biogas Generator. The tender Package can be obtained from Faculty of Agriculture, EL-chatby, Alexandria. The price of the tender Documents is 200 LE or its equivalent in Euros. Dr. Mohamed Mukhtar, Dean of Medical Research Institute addressed sincere congratulations to the Breast Unit in the Surgery Department Medical Research Institute - Alexandria University on the occasion renewing its membership in Breast Centers Global Network. It is worth to mention that the unit is the first Breast Health Unit in Egypt to join the International Foundation of Breast Tumors Centers since 2012. Alexandria University Graduate Studies and Research Council adopted, at its meeting held recently, headed by Dr. Sediq Abdul Salam, the University Vice President, a memorandum of understanding for academic cooperation between the University of Maryland, USA, and the High Institute for Public Health, Alexandria University for cooperation in the field of education and scientific research with respect to bioethics and bio medicine research. Dr. Essam El-Kordi; President of Alexandria University, and Dr. Hisham Gaber; Vice President for Education and Students witnessed the annual talents ceremony for foreign students studying Arabic at the Arabic Language Education Center for Foreigners at the Faculty of Arts. The event was held at the Faculty of Economics and Political Science in Smouha. The students presented their diaries in Egypt through one year during events and activities organized by the Center. Students of various programs participated like the students of the Chinese program CCIEE, students of the program of the Chinese University of Nanjing, students of the program of the University of Copenhagen in Denmark, students of Cambridge University in England and students from the University of Political Science in France. The ceremony also included a theatrical show entitled "Egyptian mantra" with some folk dances as well as a number of documentary videos of students' activities during travels and trips in Egypt. The ceremony was attended by Dr. Ghada Moussa; Dean of the Faculty of Arts and Dr. Lina Habib who is responsible for the Center of Arabic language Education for Foreigners. The Faculty of Dentistry - Alexandria University celebrated the graduation of the second batch of Bachelor of Dentistry of credit hours system (the International Program) on Thursday, 2 June 2016. During the celebration, Prof. Dr. Rushdi Zahran, President of the university assured in his speech the university commitment to communicate with the students and provide support with all educational means to produce a new generation at the highest level. Prof. Dr. Tarek Mahmood, Dean of the Faculty stated that the ceremony will include honoring 33 alumni with bachelor's degree from countries (Egypt - Malaysia - Kuwait). He mentioned that the total number of students of the International Program with credit hours is more than 300 students while the duration of study is 5 Years. The ceremony was attended by Prof. Dr. Mohamed Abaza, University Deputy for Matrouh Branch, Prof. Dr. Ibrahim Mokhles, Dean of the Faculty of Medicine, Prof. Dr. Sahar El Sheikh, Deputy of the Faculty of Dentistry for Education and Students Affairs and Dr. Nevin Shawky, the Executive Director of credit hours program in addition to a large number of professors of the Faculty of Dentistry and students families.